The original “Cobble” (Cob) was a rounded river-washed stone, which later gave way to the larger and more regular rectangular shaped ‘Hovis-style’ “‘Sett”’. 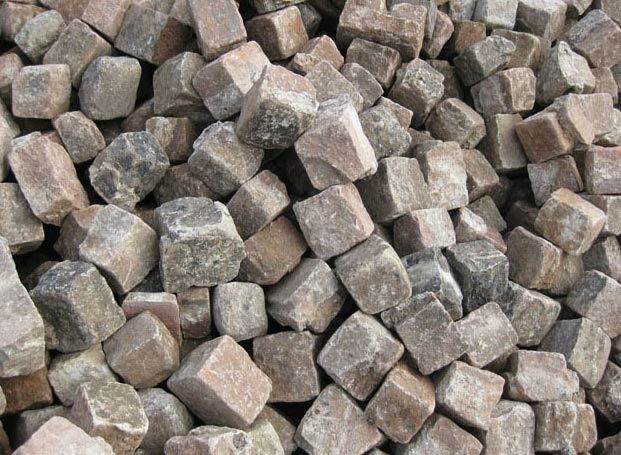 The name (Cobble or Sett) is different depending on your location or perception, but the product is basically the same. They might come as small as 100mm square cubes or can be as large as 250mm x 200mm x 250mm, and they can be sandstone or granite… but one thing is certain, they are on their way back into fashion ! and there is no better ‘entrance statement’ than a beautifully cobbled driveway. Whether for cobbled driveways and paths or larger civic areas; more and more architects and developers are being asked to use good old-fashioned street cobbles, instead of the other less robust and less visually pleasing methods of hard-pave construction. It would be difficult, if not impossible to find another reclaimed stone product that looks as visually stunning and spectacular as a cobble driveway, patio or recreational area. 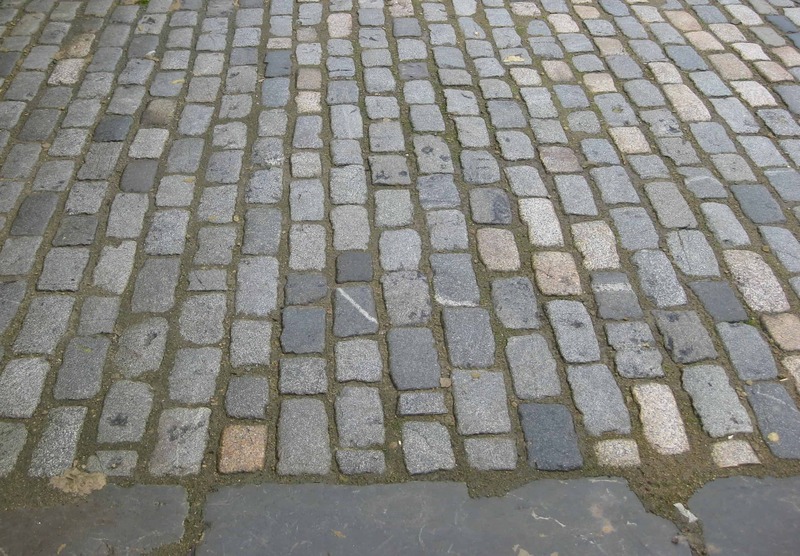 Cobbles and Setts are widely used to transform otherwise bland open expanses into visually pleasing works of art, and as well as being aesthetically superb they are incredibly robust for every form of foot or vehicle traffic, and when laid properly can be enjoyed by many generations to come. Common from the 15 the Century onwards, the use of cobbles goes back to Roman times, and they are still evident in most of the historic towns and cities throughout the British Isles today. 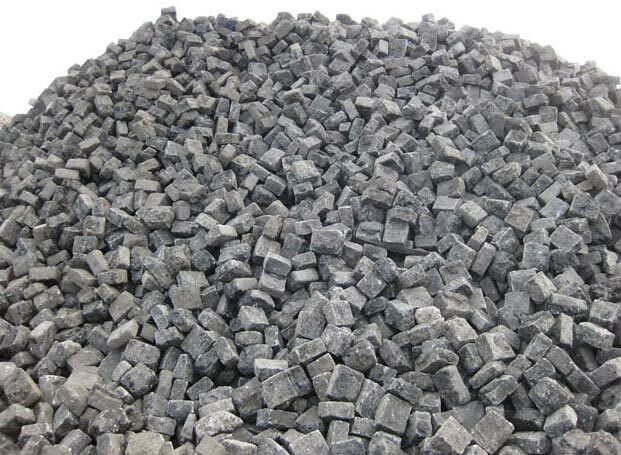 Quantity available: Varies, but up to 1000 tonnes in stock at any one time. Sandstone cobbles reclaimed from the local area! Our reclaimed sandstone cobble setts come in random sizes. Enhances the look of any garden path or driveway…it’s like a work of art – putting a good quality frame around your property. Visit our work examples page to see jobs completed using Steptoes’ Cobbles & Setts products. Stone matching service available. Cobbles provide an authentic; robust and aesthetically superb feature around any property. One ton covers approx 2.5 sq metres to 2.7 sq metres. Call or email Richard on 01254 233227 / richard@steptoesyard.co.uk with your specific size requirement for our most competitive rates. 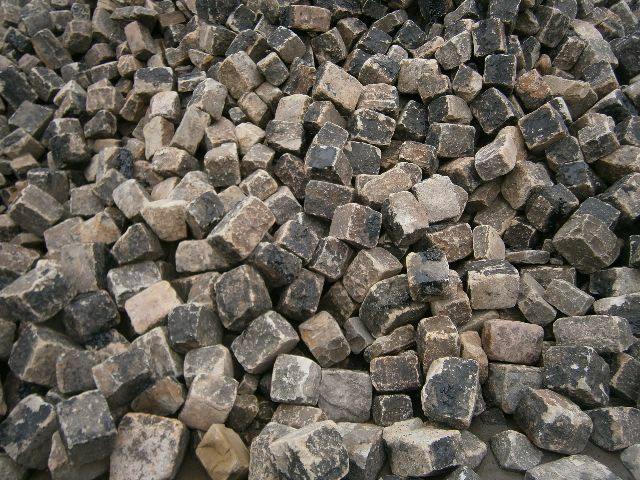 Our gritstone cobbles are reclaimed from the local area and come in random sizes. This product will enhance the look of any garden path or driveway…it’s like a work of art – putting a good quality frame around your property. Visit our work examples page to see jobs completed using Steptoes’ Cobbles & Setts products. Stone matching service available. Cobbles provide an authentic; robust and aesthetically superb feature around any property. Reclaimed granite cobbles/setts. Cobbles provide a timeless feature of the highest quality in drives, paths and other outdoor areas. More diverse in colour than the sandstone and gritstone setts, our granite cobbles can provide a spectacular feature to your property; the envy of your neighbours. Approximately 2.75 sq metres coverage per ton. Granite cubes, approximately 4″ x 4” x 4”. Back in stock…grab these rare beauties while you can. A roadway; path or courtyard looks truly superb when reinstated with reclaimed granite kerbs and cobbles. Such a ‘high-value’ finish to your external hardstandings creates a top-quality timeless feature that will last a lifetime. In stock now! Call or email Richard on 01254 233227 / rrichard@steptoesyard.co.uk with your specific size requirement for our most competitive rates. An additional charge of £10 per tonne is charged if you require the cobbles hand sorting into 1-tonne bags. If you are looking for a paving or flooring solution that will last like no other, you really should consider our huge range of reclaimed York stone products. 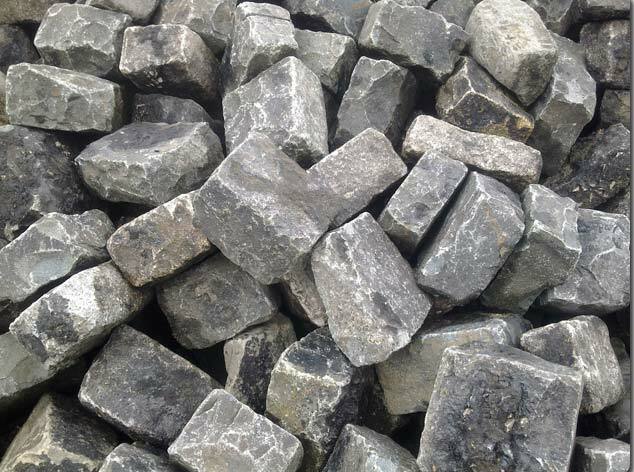 We have thousands of York stone flags in stock in our yard and we can cater for any requirements no matter how bespoke. 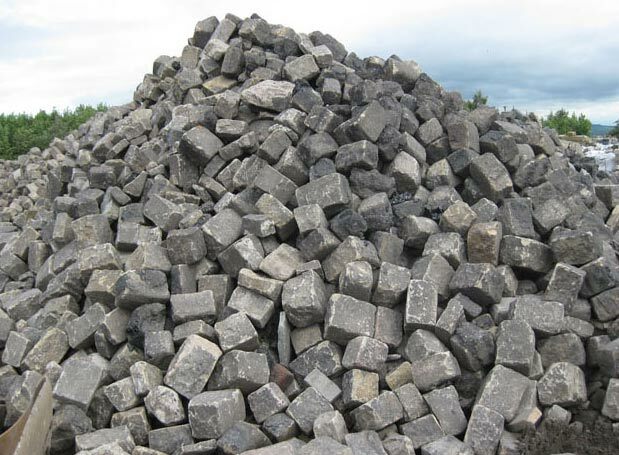 Call us today to discuss your exact requirements and we will be more than happy to provide you with a no obligation, free quote for supplying you with reclaimed York stone.